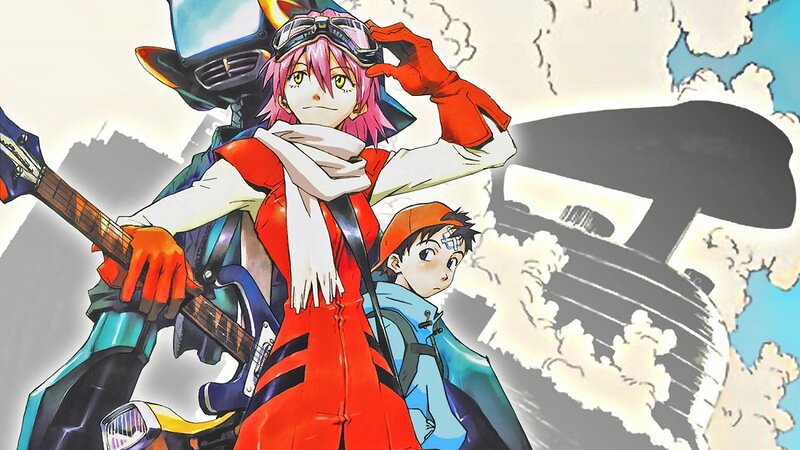 For the short but intense anime series titled FLCL, alias Fooly Cooly, published in 2000, there are two new seasons in production. Below a new and long trailer. Joint project for Production I.G, Nut and Revoroot studios, the new project includes two seasons, both 6 episodes long as the first season released in 2000. Titled FLCL Progressive and FLCL Alternative, the two new seasons will premiere on Adult Swim the first in June 2018 and the second in September 2018. Only in Japan the series will also have theatrical release respectively September, 7 2018 and September, 28 2018. Head of the project and author is Kazuya Tsurumaki, author of the first FLCL. Chief director is Katsuyuki Motohiro (Psycho-Pass), with the musics produced by the Pillows, that we can listen a little in the trailer.